Northwest’s Hunter Berry looks for an open teammate on Tuesday evening. Northwest’s Mason Campbell brings the ball down the left side of the floor on Tuesday evening. Northwest’s Kaleb Smith looks to make a cross-court pass on Tuesday evening. WAVERLY — When a player is so talented that said player makes each of his or her teammates better players on the field of play, the immediate focus has to go to said player in an effort to slow him or her down. On Tuesday evening, the Northwest Mohawks’ boys basketball program focused on slowing down Duquesne University signee Dylan Swingle by double teaming the NCAA Division I signee and future Atlantic 10 Conference competitor throughout the duration of a Division III Sectional Semifinal affair against the Paint Valley Bearcats’ boys basketball program — and did a great job by holding the 6-11 post player without a single point in the first half of play. However, despite Northwest’s efforts, the play of Caden Grubb and Cruz McFadden proved to be too much for the Mohawks to handle as the pair combined for 30 points for the contest, while eight Swingle tallies in the third quarter allowed Paint Valley to put the contest away as Northwest fell to Paint Valley, 59-27, at the Downtown Arena in Waverly. For Jason Smith, the Bearcats’ execution was simply a credit to Paint Valley’s complimentary pieces, who stepped up in grand fashion on Tuesday. That fact, however, took nothing away from Northwest’s overall efforts. From the opening tip, Billy Crabtree, Kyle Leslie, Kaleb Smith, and Hunter Berry didn’t back down from Swingle — who, despite being seven to 10 inches taller, and between 60 to 70 pounds heavier than his competition — didn’t back down from the challenge. Swingle was not only held scoreless during the opening pair of stanzas, but only touched the ball three times and missed both of the shot attempts that he took from the floor during the opening half. However, while Northwest rightfully focused on slowing down Swingle, Grubb wasted no time taking advantage of the extra attention given to his fellow teammate. The junior guard splashed a pair of treys from the left side of the floor and mixed in a pair of buckets from inside the arc — a mid-range jumper and a layup — to put Paint Valley up by a 12-2 count early on. 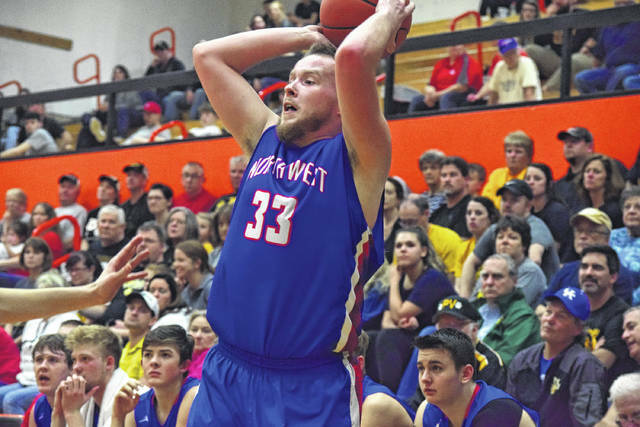 But after a steal led to a transition basket for the Mohawks with less than five seconds left to play in the quarter, Northwest found life — and followed that steal up with spirited play. Facing a 12-4 deficit at the end of the first quarter, Smith, along with Braden Borens, nailed three consecutive treys from Northwest as the pair brought the Mohawks to within 16-10, and later — after a pair of threes from McFadden — 22-13 en route to combining for 13 points for the contest. That margin, however, was as close as Northwest got as buckets from Grubb and Hunter Hamlin extended the Paint Valley lead to a 26-13 tally at the halftime break. Unfortunately, the bounces did not roll in Northwest’s favor. And when Swingle heated up in the third quarter of action, the momentum completely shifted towards Paint Valley’s direction. After scoring on a rebound and putback early in the frame following a basket from McFadden, Swingle nailed an open three from dead-on to ultimately score eight points as Paint Valley outscored Northwest 13-7 in the third quarter. The Bearcats continued to increase their advantage from that point on forward as Paint Valley used an 8-2 fourth-quarter opening spurt to put the game away for good. 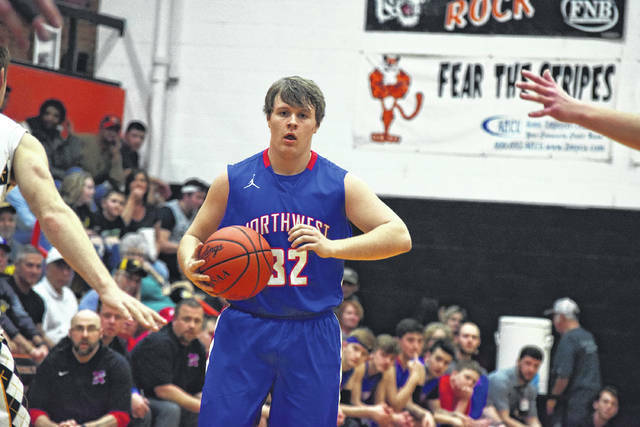 With 1:04 to play, Swingle scored his final basket — an and-one — to break Ross County’s all-time scoring record of 1,753 set by Chillicothe’s Anthony Hitchins — but it was clear that the senior had to work for every last tally that he got on the evening. 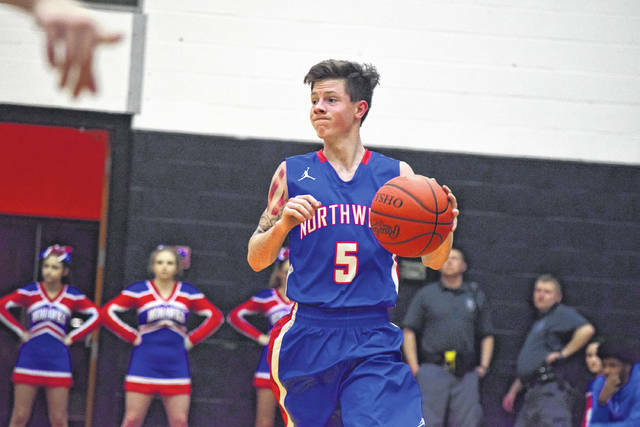 With the loss, Northwest will see out a special group of six seniors, which include Berry, Leslie, Smith, Mason Campbell, Garrett Rowe, and Tyler Webb, whom Smith will miss dearly. However, the cupboard is not bare by any means. Borens and Crabtree, along with Timmy Emmons and Evan Throckmorton among others, make for a solid nucleus that could surprise people in 2018-19. Borens, Crabtree, and Emmons each have two seasons left to play for the Mohawks.